Running to and fro around the dried orange on a stake in the garden. Inspecting for what, who knows. Not once into the darkness, but more. What could be his criteria satisfied … does it feel right? Then at the other end he rests, how long for who knows … Not long, work still to be done. There are many ways creatures get around, walking, flying, hopping etc. 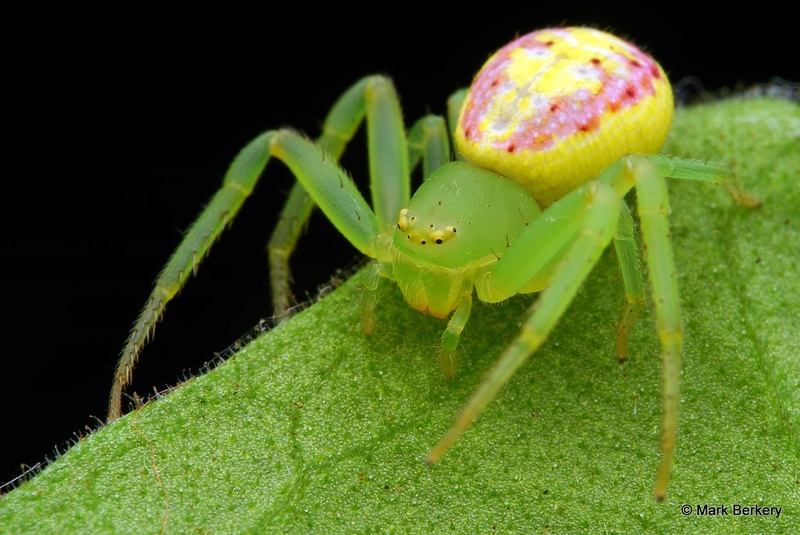 These spiders use silk. He climbs to the highest point on his map and casts a thread of silk into the dark night, in his search for food and a mate. 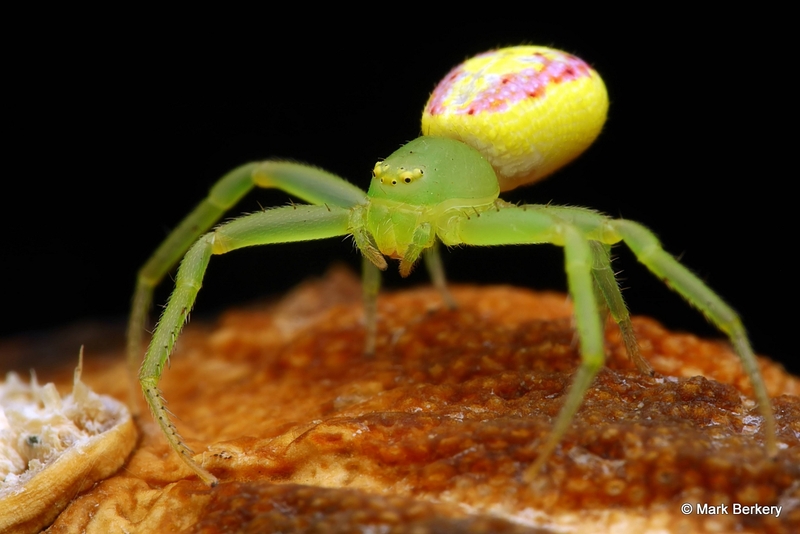 First he thoroughly inspects his platform, running around with no apparent purpose, then raises his abdomen into the air and spins a sticky thread. Taken on the light breeze, there’s always some movement of air, it lands where it will and off he goes to investigate. Where he ends up there’s no telling, he leaves and returns along the thread and casts again. After a while he seems satisfied his destination is reached, for now, and rests a while. But the threads are still in place, if he needs to return, and to mark where he’s been. Diligent little thing, never tiring in his purpose. 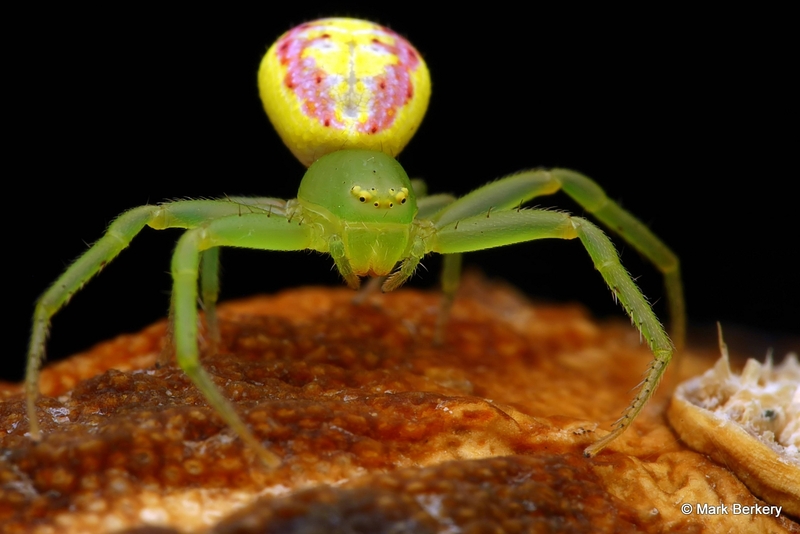 What an amazingly beautiful little spider! Wonderful shots! Never have I seen clearer pictures of the small world than the ones you take. Very jazzy colours. His body looks like a boiled sweet. Where we get ideas from … nature. Or there’s a face in the pattern, see #2 and 4. Beautiful images, Mark, and the text captures his energy and curiosity. Good traits, those. It’s probably a waste of time. I concur, Cate. Thank you, as always, Mark. Just beautiful up close. What a neat little beast in all respects. Looks like it has a floral decoration on it’s abdomen. Yes, it looks like a flower. Thanks Lissa. 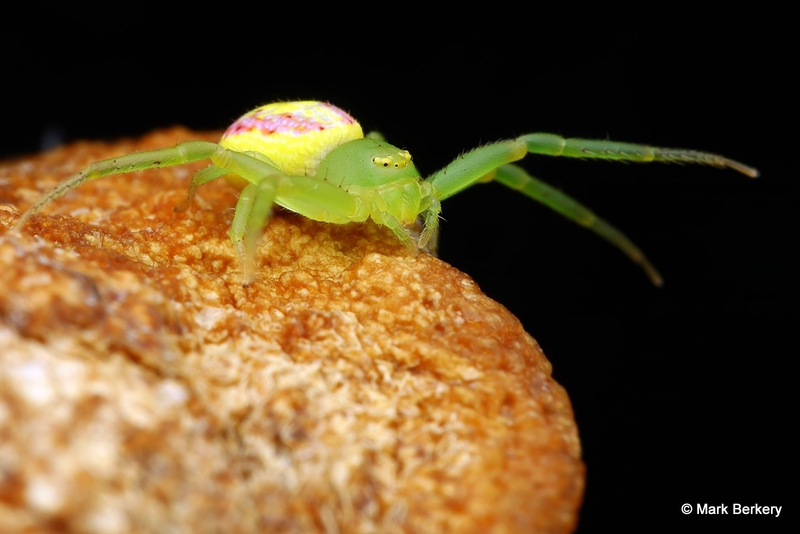 I love these photos of this colourful little spider, shown in a way that most of us don’t get to see it. Nice photos and I like the way you told his story.